The key to eating well most of the time? 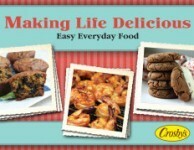 Resolve and a great stash of recipes for easy everyday food. I don’t have a perfect track record, mind you, but most days I can get good food on the table. Let’s just say I live by the 80/20 rule when it comes to feeding my family. Eating well when you’re busy can seem like the impossible but it’s more a matter of resolve and a great stash of recipes than it is time and effort…Some if the tastiest recipes have barely a handful of ingredients and are quick to whip up, even of spending time in the kitchen isn’t really your thing. 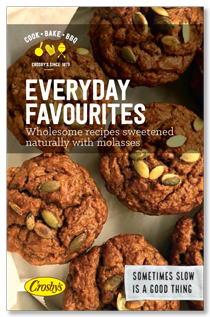 Here on the Molasses and More blog we’re trying to make it easier for people to make good food, every day, which is why we’re pleased to be sharing another e-book. Making Life Delicious incudes 46 of our favourite tried-and-true recipes; a good mix of breads and cookies, cakes and veggies and main dish meals too. It’s a collection of everyday food. These are recipes that don’t require a whole lot of time to prepare and that are wholesome and satisfying. 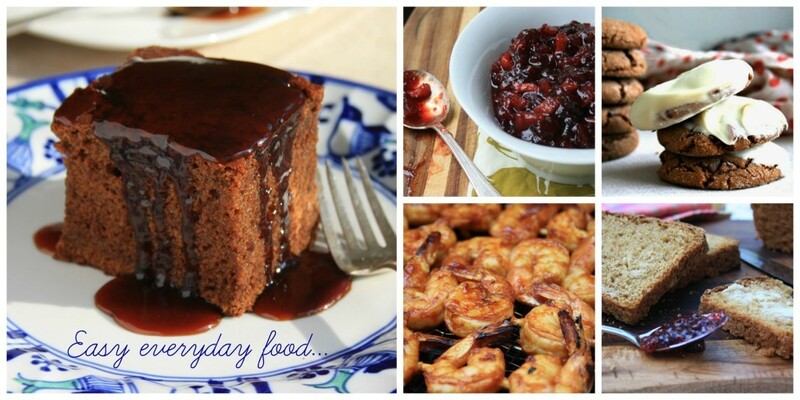 These are recipes for easy everyday food. This free e-book is easy to view — just click and the file will open for you. No e-reader required. Feel free to download it to your own computer if you prefer.  Here’s to eating well, every day. .
Hi Amy, We’d be happy to send you a copy of our Family Favourites cookbook. Watch for it in the mail over the next couple of weeks. 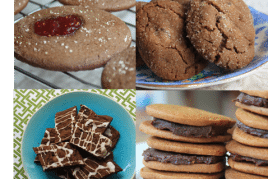 I think that this is the best thing ever.what great recipies and we love making molasses cookies for our grand kids as I been eating molasses all of my life.keep up the good work we just love your e-book recipie. Thanks James. We’re having a great time creating e-book so it’s good to hear you’re enjoying them. Even better to know you’re making cookies for your grand kids. I tried the Molasses Walnut Scones with Vanilla Glaze to bring to a ladies meeting and they were a hit! They disappeared in seconds and there was cheesecake and other goodies to choose from. :) I didn’t have walnuts so I substituted raisins in the biscuits and chopped pecans on top. It was a nice combination. I would recommend mixing the nuts in the glaze so that they will stick easier and be less fussy for bakers like me. I will definitely make these again. Thanks for the great recipes. Hi Lorraine, Thanks for the suggestion to add the nuts to the glaze. You’re right , they fall off too easily so having them mixed with the glaze makes sense. Glad everyone loved them! Could you please forward the 46 page e-book. I would love to use it! Hi Debbie, I hope the e-book arrived safely. 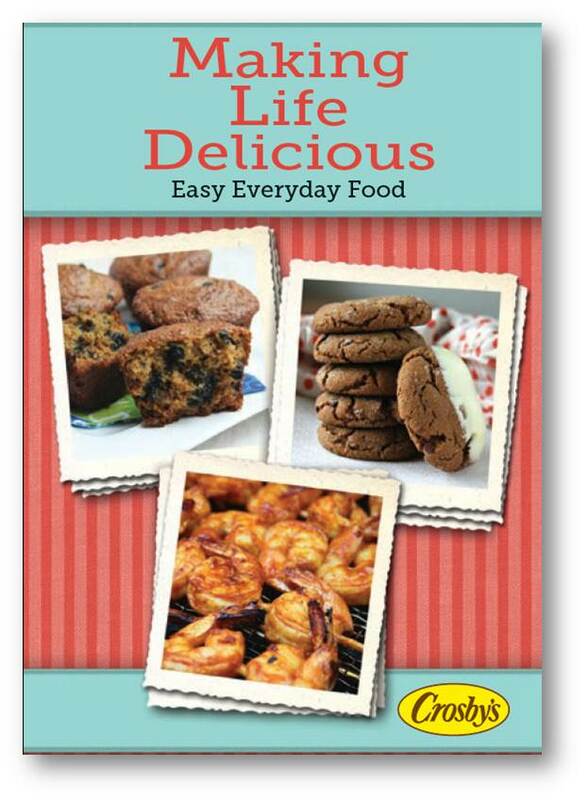 I just made another recipe from Making Life Delicious and it was another hit. I brought the Irish Soda Bread with Molasses Sunday to a big potluck of 32 women and it disappeared quickly. Everyone loved the texture and taste. It is good to eat with your meal or to have with tea after the meal. I didn’t have currants so I used raisins but will try the currants next time I make it. 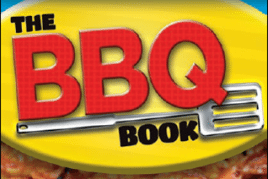 Hi Lorraine – I’m so pleased that you’re enjoying the cookbook. Thanks for letting me know, I appreciate it! Hi Gloria, Glad you figured it out and hope you are enjoying the e-book. 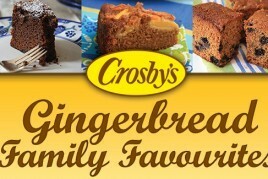 We’d be happy to mail you a copy of our Family Favourites cookbook. Watch for it in the mail over the next couple of weeks. 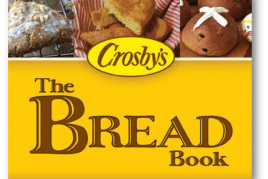 Hi Marlene, We’d be happy to mail you a copy of our Family Favourites cookbook. Watch for it over the next couple of weeks.